Ancestor worship is a Chinese tradition for thousands of years, among different customs, Ching Ming Festival is considered as the official day of worship. During this period, a lot of families would go out to clean up the gravesite and offer flowers, fruits, drinks and other burn offerings to show their respect and remembrance for their ancestors. However, you may not know that there are in fact many taboos on the Ching Ming Festival worship which include the offering of fruits and flowers. In order to avoid breaking the taboos and cause embarrassment, Give Gift Boutique has sorted out several taboos about ancestor offerings that you need to know. Pomelo: This fruit is not only beneficial for health but also very popular in many festivals because of its good meaning. Pomelo is suitable for ancestor worship because it has the meaning of "bless". 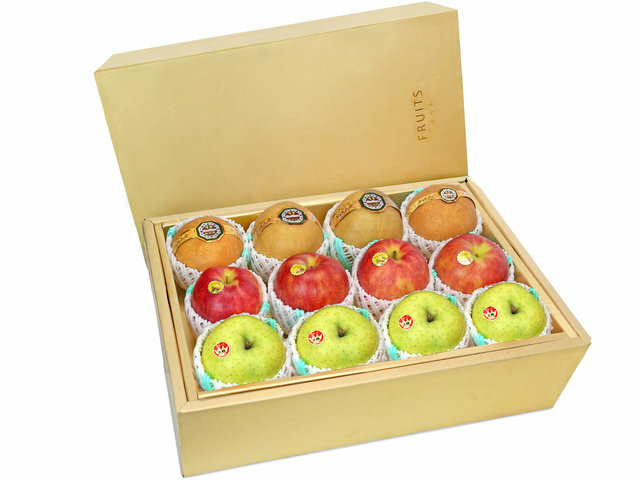 Apple: as one of the fruits with the highest daily consumption rate, Apple means "safe and peaceful" in Chinese which is not only highly appreciated by doctors but also the essential fruit for ancestor worship offerings. Orange: Orange has a bright color skin and can be used to make dried tangerine peel with its peel. Orange has the homophonic of "good luck." Melon: Sweet melons is a popular fruit for ancestor worship, it looks magnificent and decent. Traditional ancestral offerings are divided into yin and yang. Yin numbers are 0, 2, 4, 6 and 8, and Yang numbers are 1, 3, 5, 7 and 9. The number of Yang is more auspicious for offering sacrifices to ancestors. Sending a bouquet of flowers on Ching Ming festival is a convenient and civilized way to show your love and respect for the deceased ones. What’s more, the flowers themselves have symbolic meanings like pure and holy. Notice: Flowers that are used for sacrificial tombs should not be too aromatic or too colorful. Chrysanthemum: pleasant aroma, light color with the meaning of mourning. 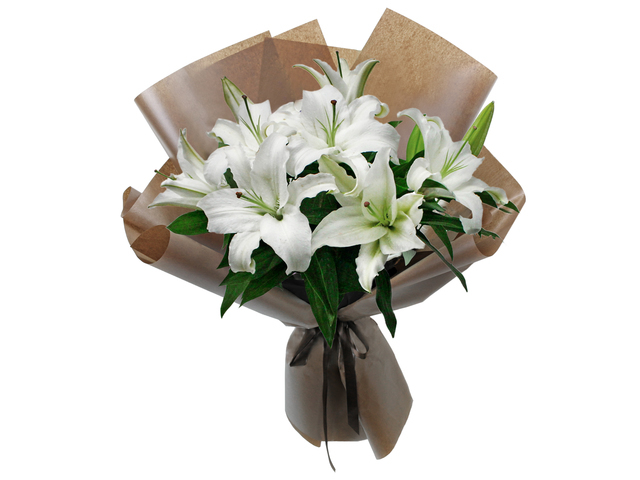 Lily: Lily has been a popular flower for ancestors worship because of its delicate fragrance and elegance. Calla Lily: The white calla lily that symbolizes loyalty is not just the exclusive flower for weddings; it is also suitable for commemorating the lost relatives and friends. Gypsophila: The simple and pure baby's breath flower represents the feeling of endless missing, so sending a bunch of Gypsophila bouquet is a good way to express deep love and missing for the lost ones. Bird of paradise: the bird of paradise has a perfect shape with the right color and floral notes. White Rose: White roses are pure and flawless in appearance. It is also a novel choice for grave sweeping. The most important thing for the Ching Ming Festival is to worship and remember the ancestors who have passed away while placing appropriate flowers and fruits can better express our deepest condolence. This is a Hong Kong GGB original 'Flowers and Fruits for Ching Ming Festival ' blogpost.